Here we can begin to look at your ‘story’; how you got to where you are and where you would like to be. Addictive behaviour is always a mask for discontent. Addictions make us feel better, that’s why we do it. Addiction takes the edge off the pain, the discontent, the anxiety we’re feeling beneath the surface. In this room we can start to look for your ‘triggers’; the things that set you off, and what that may be all about, for you. We can examine what you’re getting from your addiction and how it makes you feel. We can look at the rational understanding that what you’re doing isn’t helping you and uncover the emotional logic that keeps you repeating the behaviours. Addiction tricks us into believing we’ve found a coping mechanism that works for us but all it provides is temporary relief; we have to keep turning back to it again and again and increasing the amounts as we do. Eventually it gets out of control and we feel trapped, like we have nowhere else to turn. Counselling examines our state of mind when we do this to ourselves. Counselling looks for the recognition that what we’re doing we’re voluntarily doing and that we have a choice and that there are other alternative options available to us. Counselling is a steady, reliable, steadfast exploration of what lies within, deep in the core of our being. We all become who we believe ourselves to be, we become what we think about, but who put those ideas in place in the first place? And are they correct? Or misperceptions that we’ve taken on board as immutable truths? How do we straighten them out to fit the true us? Who is the true, authentic us? And how can we start to become the person we truly are? By challenging those beliefs that we’ve held onto for too long we can grow into the true us, we can grow towards the light and leave the darkness behind. It’ll always be there but it won’t scare us anymore in the same way or drive us to obliterate it from our minds by using addictive substances and rituals. 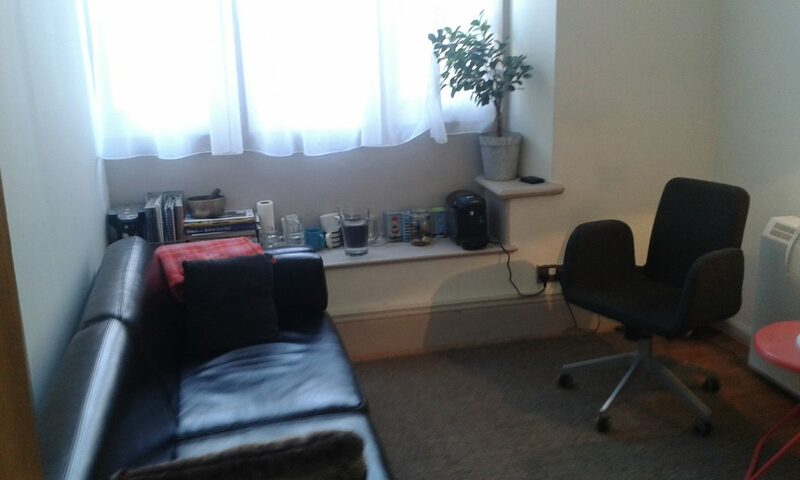 My Brighton Counselling rooms. Light, airy, quiet and confidential. For a free, no obligation consultation to see if this can help you on the road to the new you and a more satisfying way of being in this world, call: 07914 681995 or email me on bradrid@gmail.com to arrange a date and time to come in and experience the process and decide whether it’s for you. We spend a fortune on entertaining ourselves away from feelings we’d rather not experience but how often do we invest in exploring , understanding and therefore changing and disabling those very feelings that are costing us dearly on a daily basis? Come and join me and let’s see if together we can find the right answers to your questions?